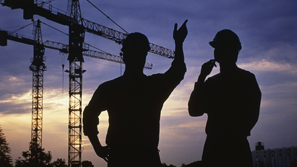 Any major construction project encompasses many people and components — architects, engineers, contractors and subcontractors, workers and tradesmen, building materials, equipment, and the building site itself. All of those elements come together in a highly choreographed process to complete the project safely, to high quality standards, on time, and on budget. When that fails to happen, lawsuits often follow. Such cases may take many forms, from construction defect claims to business disputes to worker injury cases. Construction litigation can be as complex as the project itself, and identifying who is at fault can be challenging. But the attorneys at The Law Offices of Frank L. Branson have broad experience in handling construction lawsuits.